This packing list for Bali will help you make sure you don’t forget any of the essentials and let you enjoy your trip to the full. You don’t need to bring much with you to explore Bali, but here’s a list of items that will help you get the most out of your trip and ensure you’re feeling on top of your game the whole time. Cotton and linen are good lightweight choices that let your skin breathe In Bali’s tropical humidity. Even more effective are heatwicking sportswear like UnderArmour for tops and underwear – this keeps moisture away from your skin keeping you much more comfortable than other fabrics. Good quality lightweight breathable walking shoes are also a good idea. Flip flops provide more freedom but breathable walking shoes provide more comfort, support and protection. A fleece or hoodie is great in case of cold evenings or if you’re in a heavily aircon environment like airports, airplanes or minivans. Also good as an impromptu pillow. Similarly a sarong is useful as a beach wrap, towel, blanket and for general lounging around. Socks, long lightweight dresses, skirts or trousers are essential for wearing at dusk when mosquitoes are most active – you want to make sure you’re covered up to avoid getting bitten. Liberal and frequent application of mosquito repellent is vital. Getting a clutch of mosquito bites on the first night of your Bali visit can put a real damper on the remaining days due to the itchiness and discomfort – as ever prevention is the best cure. Bring several bikinis or swimmers so you can rotate them avoid any skin rashes from salt water. Similarly, if you’re planning lots of yoga or other activities, best to bring several of your favourite outfits as you’ll need to change every day. A big hat is also a good idea to keep the sun off. If you’re travelling to Bali in monsoon season (October to April), be prepared for heavy downpours at times. (There’s still plenty of sunshine, but when it rains, it really rains). A lightweight hooded waterproof jacket that you can stash in your bag is a good idea. A baseball cap keeps your head dry and rain out of your eyes. Also remember to keep your phone and other valuable items waterproofed – wrapping them in a plastic bag will do at a pinch. Ziploc bags are a more durable option. Deodorant, toothpaste, shampoo, shower gel et al can all be bought in convenience stores like K Circle as well as supermarkets. Best to bring razors, tampons and other intimate products with you if you have a preferred brand or type. Mosquito repellent is obviously essential and also sunscreen – try to use one that’s non damaging to the ocean if you’re planning on beach time and swimming, snorkelling or scuba diving. Also make sure you stay properly hydrated – at least 3 litres of water a day. A small first aid kit with plasters, disinfectant cream and so on is useful for everyday cuts and scratches. Many toilets in Indonesia favour the bum gun – a jet of water from a hose you use like a primitive bidet but for your rear end. This is actually far more effective and hygienic than toilet paper, and indeed, the presence of toilet paper is not a given. If you want to ensure some is to hand, the ingenious Campers Toilet Paper is a great portable solution. Hand sanitiser is also useful. Keep some condoms in your toilet bag just in case holiday romance happens. You may think it’s presumptuous to do so before you leave home, but it’s crucially important to ensure your own protection and that of your partner – Amazon can help you if you’re too shy to buy over the counter. If you plan moving around rather than being based in one resort, a backpack rather than suitcase is a better idea. Osprey produce excellent ergonomic backpacks that won’t hurt your back. A daypack is also a good idea for everyday use. Packing cubes let you keep everything organised without having to empty your backpack’s entire contents on the floor each time you want to find something. Get a local SIM card – it’s way cheaper to use a local Indonesian SIM card and avoid roaming charges. You can buy an Indonesian SIM card online with Klook and pick it up at the airport on arrival in Bali. This can be more convenient than going direct to a telcoms shop. If you’re going to be on the beach a lot (or drinking by the pool) get a waterproof pack for your phone, tablet and so on. Salt water, sand and electronics do not mix. Ensure you have power for your phone while you’re out and about by getting a power bank – there are some very slim, lightweight, inexpensive models these days. Remember that taking photos and using Maps burns battery quickly. Your phone also doubles as a torch with the flashlight function, but it’s wise to carry a tiny but super powerful torch on your Keyring like the Nitecore Tube for better visibility both for you to see and to be seen by oncoming traffic etc. A personal security alarm that’s small but makes a huge noise is a good source of reassurance. You’ll need a universal plug adaptor, preferably with surge protection. Indonesia uses X types of plug. A Kindle reading device is a great way to carry hundreds of books with you without breaking your back. Or use the free Kindle app on your tablet or phone, but if you’re a keen reader, investing in a Kindle is worth it as it’s much easier on the eyes. Audiobooks – Audiobooks are a great way to make the most of travelling time and also shut out the airplane noise. Audible offers a free trial where you get your first audiobook for free without obligation. You can listen to it in the free Audible app on your phone, tablet or laptop as well as browsing thousands of other titles. TV Show Downloads – perfect for plane journeys or quiet moments when you need some downtime. You can download a wide selection of TV shows and movies to your laptop, phone or tablet with Amazon’s Prime Video service – just be sure to test you’ve properly downloaded the shows you want by playing the media with your internet connection switched off before you leave home as trying to download via hotel wifi or an Indonesian SIM card might be a bit frustrating. Don’t be surprised if there’s a 3% surcharge for using a credit card – it’s common in south east Asia to pass the processing fee directly to the customer as part of the transaction. You’ll be able to get Indonesian rupiah from the ATM at Bali airport when you first arrive. Bring a few hundred US dollars in cash as well – USD tends to get the best exchange rate and can also be used directly at some more upmarket restaurants and hotels (best to check in advance). Don’t keep all your money and credit cards in one wallet or purse – spread them around your person. Keeping a bill fold and a card in a front pocket rather than back pocket is wise. A money pouch around the neck is a hidden but accessible secret stash – to my mind much more comfortable than a money belt, although it’s purely down to personal preference. The usual travel rules apply as anywhere in the world: don’t carry more than a couple hundred dollars cash (or equivalent) on you, keep credit cards in different pockets, place surplus valuables in a hotel safe when you can, and basically avoid any ostentatious displays of wealth like jewellery, watches and so on. It’s frankly far more likely you’ll lose it than have it stolen so why take the risk. If you haven’t done so already, compare the prices and timings of flights to Bali between all major airlines on Skyscanner. Check the visa situation for Indonesia. Many nationalities now get 30 days admittance to Indonesia without needing a visa – you simply arrive at the airport and pass through Immigration. This is certainly if you enter and exit the country at Bali’s Ngurah Rai airport. However, the situation is fluid so be sure to doublecheck. Also make sure you book at least your first couple of nights accommodation in Bali before you arrive – Booking.com has a wide selection. 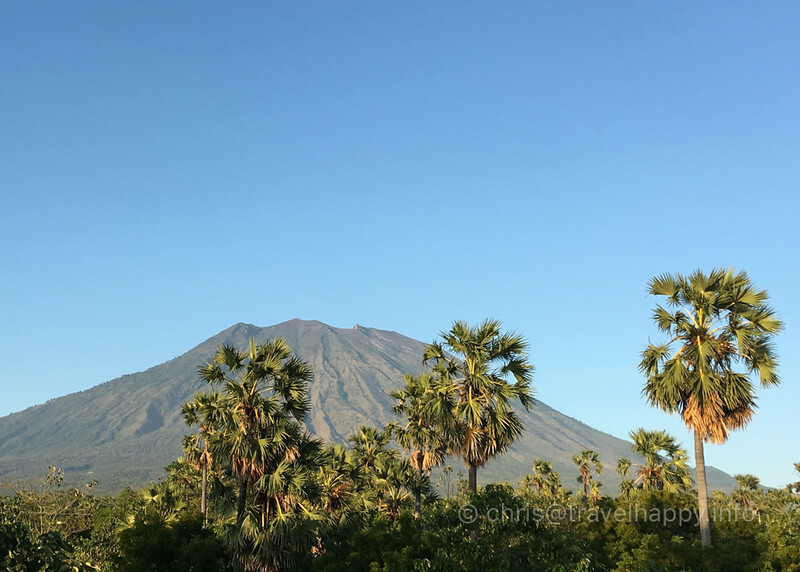 Depending on the time of year you arrive, Bali can be busy and decent accommodation scarce (as opposed to expensive, crappy accommodation) so it’s wise to book ahead. Ensure you have travel insurance to cover you in case of any medical emergency, your luggage goes missing or other travel mishaps.